If you are an athlete, you know you want to avoid concussions at all costs. 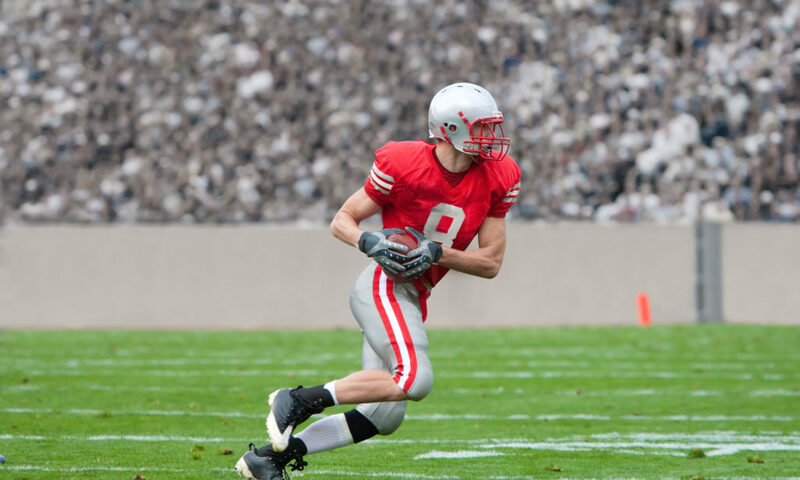 Though concussions are specifically common among athletes, anyone can experience one. Concussions can occur due to a bad fall, a car accident, or a simply blow to the head. Though concussions are serious, it is possible to not realize you have suffered a concussion1. Here are four things you should know about concussions and what to do if you experience one. A concussion is a brain injury caused by trauma that affects your brain function1. Your brain in cushioned by what is called cerebrospinal fluid. This fluid protects your brain from the movements of everyday activities1. However, if you experience a violent jolt or impact to your head or neck, your brain bounces against your skull. Due to this jolt, your brain may experience immediate or delayed function loss, depending on the seriousness of the concussion. Between 1.6 and 3.8 million concussions occur in the United States each year2. Due to the rising number of diagnoses, more is understood about why they happen and what occurs after. After a head injury, the injured person should not alone and symptoms should be tracked. If symptoms worsen, contact a physician. What should you do after a head injury? If you or someone you know has suffered a head injury, the safest option is always to seek medical attention. However, if the impact was minor or there are no apparent symptoms, you may want to simply track any symptoms or give your physician a call. If you do visit a medical professional, they potentially run different diagnostic tests. They may conduct a neurological examination which will check responses such as vision, reflexes, and balance1. They may also conduct tests that test your cognitive skills. You may also undergo go an MRI or CT scan if your symptoms are severe1. What does concussion recovery involve? Concussion recovery involves a lot of rest and downtime. Especially if you are an athlete. If you return to your sport too quickly, your symptoms may worsen and your recovery may be delayed2. It is a common conception that you should not let someone sleep after they have suffered a concussion. They best thing to do is to ask a doctor. However, if the person can hold a conversation while awake, they most likely will be okay to sleep unless otherwise directed by a doctor3. Just make sure to continuously check on them. To start your recovery, pinpoint what activates or aggravates your symptoms. For example, if nausea is one of your symptoms, avoid food or activities that make you feel sick. Tracking your triggers will help you recover from the symptoms caused by the concussion. Again, rest is an absolutely necessary part of concussion recovery. Your brain has suffered trauma and needs time to recuperate. After a concussion, you may find yourself easily exhausted. If so, try taking short naps when you feel tired2. While recovering, don’t participate in strenuous activity as it may affect the recovery of your brain and body. 1- Concussion. Mayo Clinic. http://www.mayoclinic.org/diseases-conditions/concussion/home/ovc-20273153. Published February 10, 2017. Accessed May 3, 2017. 2- Figler, Richard. Suspect a Concussion? What You Need to Know. Health Essentials from Cleveland Clinic. https://health.clevelandclinic.org/2012/08/suspect-a-concussion-what-you-need-to-know/. Published July 20, 2015. Accessed May 3, 2017. 3- Is it safe to sleep if you have a concussion? UAMSHealth. https://uamshealth.com/healthlibrary2/medicalmyths/sleepingwithaconcussion/. Published January 28, 2017. Accessed May 3, 2017. Why is flexibility important to joint health?